PARK RIDGE, Ill. (WLS) -- Park Ridge police have charged the person they say was driving a tow truck that was involved in at least 14 hit-and-run crashes on New Year's Eve. Police said they first received a call shortly after 9 a.m. on Sunday, December 31, saying a white tow truck in the 2300-block of West Oakton Street lost control and struck a tree. When police responded to the scene they found that the truck had already fled with a tree limb wedged into the tow apparatus. Surveillance video captured the tow truck taking a turn practically on two wheels, hopping a median before speeding off. Police said they continued to receive numerous reports of hit and run crashes involving the tow truck throughout the day. Police said the truck struck a total of 14 vehicles in the city of Park Ridge as it traveled east on Oakton Street and then southeast on Northwest Highway into Chicago. Numerous anonymous tips led detectives to a suspect and, after speaking with witnesses, confirmed the identity of Patrick Worley of the 1800 block of Linden in Des Plaines, police said. Worley turned himself in to police Thursday. He was charged with damage to village property, reckless driving, operation of an uninsured motor vehicle and 14 counts of leaving the scene of a property damage accident. He posted bond and was issued a February 13 court date. "Started walking back down to our car, all of a sudden we see 'Oh, that car's got its windows broken out, the next one too, and the next one,'" said Norm Bochemek, whose car was hit. Bochemek and several others had been inside a church at the time. "That's how the cars were lined up. I was probably about the fourth one down," he said. The tow truck left a path of shattered glass and torn-off bumpers lining the side of Northwest Highway. "There were eight of them in a row damaged the same. The rear window got damaged, broken pretty bad," Bochemek said. "We couldn't figure out, how could that happen?" 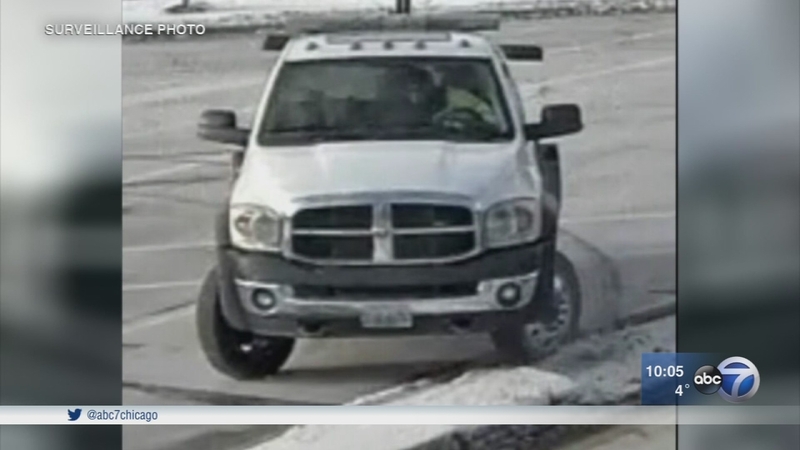 Police said more hit-and-run incidents involving the truck occurred in Chicago, and the tow truck was seen in Des Plaines and on the I-294 Tollway after the incidents in Park Ridge. Park Ridge police said they received reports the driver was seen in Chicago driving erratically, and in Des Plaines an officer tried to pull him over but the driver did not stop. Police said the hit-and-run incidents all involved parked cars, and no injuries were reported. Police described the tow truck as a white, newer model Dodge standard tow vehicle, with a AAA motor club emblem on the cab doors. The driver was described as a white or Hispanic male. No company, operator or plate number is known, police said. AAA released a statement, saying: "The actions by the tow truck driver reflected in this story do not reflect the values or standards by which AAA operates. Our initial investigation has found that this tow truck is not one of our company-owned fleet nor is it believed to be one of our independent service providers. We have very specific branding requirements for our trucks, none of which this truck has. We intend to reach out and work closely with the local police to offer any assistance in their investigation."